Have you ever felt self-conscious about your smile? If so, it’s time to schedule an appointment with our Kalamazoo, MI cosmetic dentist. We understand that your smile says a lot about your personality, which is why we often recommend teeth bonding to patients who want to correct slight chips, cracks, gaps, or other minor imperfections. Our teeth bonding dentist can help you smile with confidence in as little as one appointment. Are you a candidate for dental bonding? To find out, your first step is to request a consultation with our cosmetic dentist in Kalamazoo, MI. During your consultation, we’ll be able to evaluate your smile to determine what cosmetic procedures would be most appropriate. We may recommend dental bonding if you have minor imperfections in teeth that show when you smile and talk. The tooth bonding procedure is safe, effective, and often can be completed in just one visit to our office. Teeth bonding is also minimally invasive, which means you’ll be able to return to work or school after your appointment. During the tooth bonding procedure, our cosmetic dentist shapes and bond composite resin materials directly onto your teeth. Teeth bonding not only restores the function of front teeth, but improves the appearance of your smile. Our cosmetic dentist offers teeth bonding and other aesthetic procedures to help you achieve your best smile. 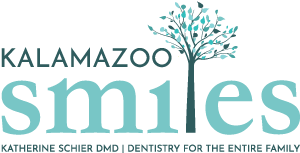 To request an appointment with our dental bonding dentist in Kalamazoo, MI, call Kalamazoo Smiles at (269) 353-3700.